Aluminum brackets, rivnuts, and miscellaneous hardware required to mount a type 100 heat exchanger to the 818 radiator subframe. Individuals choosing to move to an AWIC setup need to mount a heat exchanger up front. 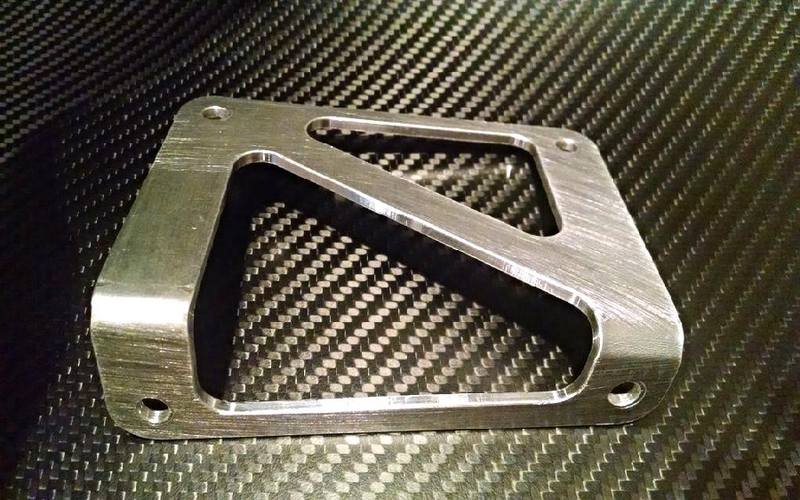 These brackets are the same brackets that come packaged in the AWIC setup available from Zero Decibel. 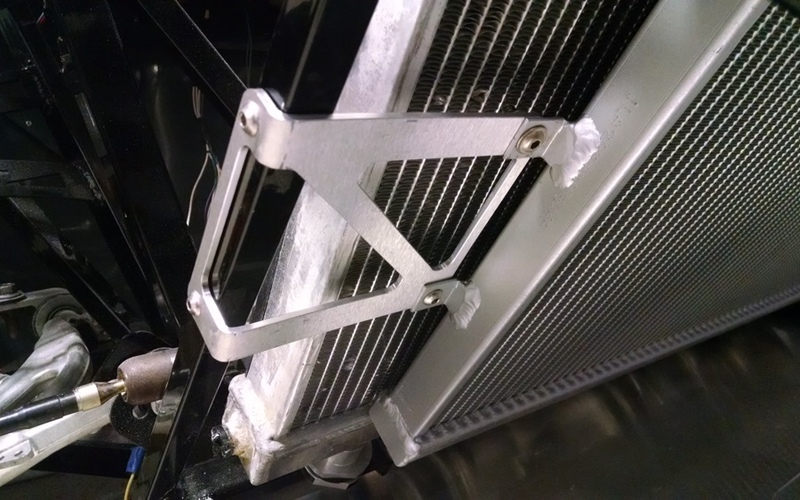 For those wishing to make their own setup or use a different core but still use the type100 heat exchanger these brackets are an easy mounting solution. These particular brackets were designed to offset the radiator to one side. 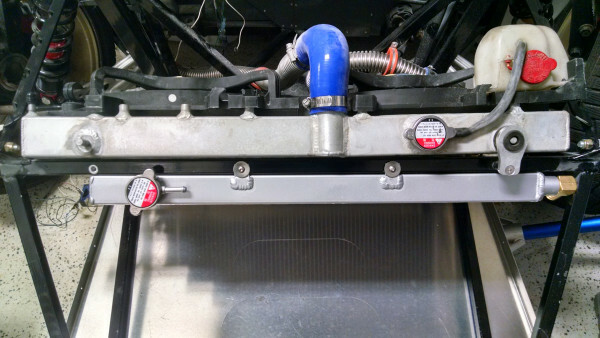 Using 90 degree fittings the water lines can routed with a straight shot right between the radiator and the subframe to prevent kinking water lines. 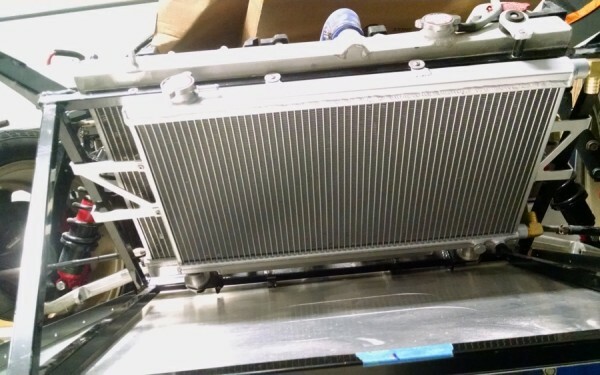 The top of the heat exchanger sits flush with the subframe so that the water fill cap sits above the frame and is removable without unbolting the brackets. Minor trimming of the driver side inner bumper behind the headlight is required. 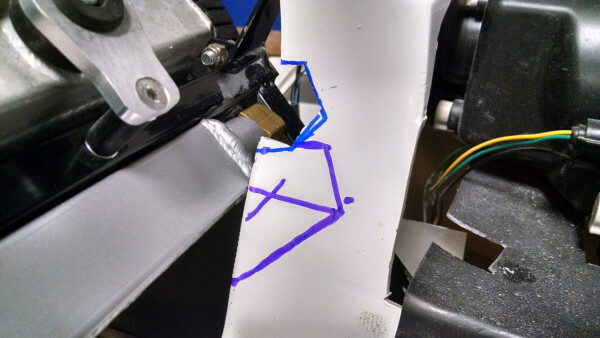 The sheet metal on the coupe style front end will require minor trimming. Original style front ends do not require trimming.